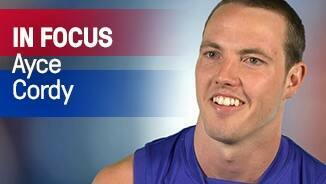 Ayce Cordy will come into the Dogs’ side to face Richmond this weekend. The Bulldogs will aim to build on the gains made against Richmond when they face the Demons on Saturday says Ayce Cordy. The spotlight is turned on the 2014 season of Ayce Cordy. 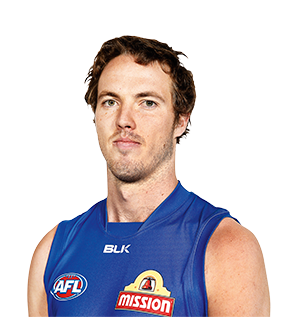 Cordy is a versatile tall who predominantly fulfils a dual role rotating between the ruck and forward line. An intensive gym program to build his 204cm frame has begun to pay dividends as Cordy now looks to regain his natural agility and carry the extra muscle with ease. The father-son selection was taken with the Bulldogs first round selection in 2008 (pick 14 overall). While Cordy spent the majority of season 2014 in the VFL, the past 12 months saw the ruck/forward develop continuity in his game, for the first time completing a season without injury. Playing just the one senior match against Sydney in round 22, Cordy split his game time in the VFL between the ruck and forward line, showing bursts of his best, notching up 41 and 43 hitouts in two games. 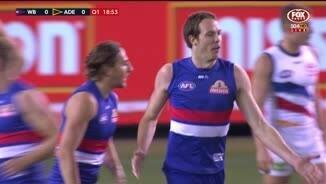 Cordy’s produced his best game for the season in the Dogs’ first final, with 34 hit-outs and three crucial goals. For the first time in six seasons at the Kennel, Cordy had an uninterrupted, injury-free year, completing a full pre-season and not missing a match at VFL or AFL level. “[He] won front position on many occasions and when he gets in that dominant position as a forward, he can use his athletic ability and his reach to mark the ball or draw a free kick from his opponent. “Ayce has got this fantastic athletic ability that he’s got height but he’s also really mobile. It’s a credit to himself that over summer he went away and he got his tank really big… it’s given him the base to come on and just keep developing each week on his craft and build on his game. “I think he is starting to get the evolution of competing in the air but also when the ball hits the ground, he’s contributing there too.” – Bulldogs Development Coach Ashley Hansen in April 2014. Managing five goals from five games in the senior side, the developing tall endured a mixed season in 2013. While a stress fracture in his fibula restricted him to the sidelines through the middle of the year, he returned to Williamstown and showed some promising signs. His performance against Melbourne in round 14 was a highlight, yielding two goals from two contested marks. 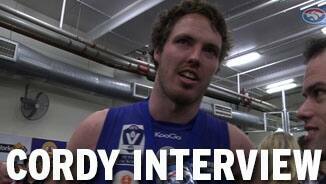 Cordy showed numerous glimpses at both AFL and VFL level this season. His two goals against Brisbane (round one) and Melbourne (round 14) were important, while four tackles in wet conditions against Adelaide (round four) was a plus for a big man. The 23-year-old took four or more marks in seven of his ten games – including seven marks in round 11 and ten in round 16. Playing all four of the Bulldogs 2012 NAB Cup campaign, Cordy was unlucky to miss selection in the opening clash but quickly forced his way into the side after two highly promising games in the VFL. Breaking personal bests left, right and centre, Cordy notched up career highs in disposals (13), marks (six), contested marks (four), marks inside 50 (five), tackles (seven), hitouts (11) and goals (two). The talented young ruckman finally made his AFL debut in round 22 against Port Adelaide and played in the following round against Hawthorn. Has shown he can play in defence and looked comfortable there. The father-son recruit will look to secure a regular senior position this season after a surgery free pre-season.